Foam comes in many flavors – I find that combining soft foams (volara foam, craft foam) to do curves with hard foam (foam insulation) for flat areas, I can get nearly any shape I want, along with some excellent details carved into the surfaces. When coated with fiberglass resin and/or cloth, the foam becomes quite firm, and should stand up to casual usage. Additional layers of resin and cloth will increase strength dramatically, though they will also increase the weight of the armor significantly, so one should be aware of this tradeoff as the armor is being constructed. The second step I take for any armor build is to sketch out the rough armor pieces. The first, of course, is research. I try to find images showing the armor from as many angles as possible, and watch it in motion to get a feel for how it moves. I then tape paper to a lifecast / body double that I made a few years ago with the help of a friend, and start drawing out rough armor shapes. Once the rough sketch is complete, I start building up the actual armor shape. To do this, I use a mix of paper, craft foam, and foam insulation, depending on how flexible I need the shape to be. 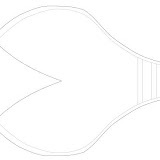 At this point, I make a paper outline of the armor piece, then refine the shape, both by hand and in the computer after scanning it in and using the programs Paint, Photoshop, and Inkscape. This lets me get a smooth final result, which can be printed out for later use. Next, I use the refined pattern parts to trace out the final shapes on the proper foam for the armor – thin foam for closed shapes, thicker foam for open shapes such as the shoulder guards, thick foam insulation for segments that need engraving. This is both the easiest and most difficult step, since the tracing is simple, but getting the shape cutting out precisely is difficult. Not all armor shapes lend themselves well to the pattern / construct / refine / cut out cycle described above. Sometimes you have a shape which you want to duplicate with armor. To do this, you first cut strips of soft foam and layer them over the shape you want to build armor around. Next, you use duct tape to coat the foam, as if the duct tape would be the armor. After that, you can cut away the duct tape, which has become the pattern for your armor part. I suggest dupicating this pattern, so you can clean it up a bit, but I know of some people who just use the duct tape version directly, since it is sturdy enough to last for years. Working with fiberglass resin means working with chemicals. Be sure to wear proper protection, to protect your work area, and to be in a well ventilated area. Even epoxy fiberglass resin, which has a very mild odor, isn’t good for you to breathe for long periods. To fiberglass foam armor, you first cut out shaped pieces of fiberglass mat. Cut enough that you can layer the pieces in various directions and in multiple layers for strength. Pile the cut pieces to the side of your work area, where you can easily get them, but where you won’t accidentally drip resin onto the pile. Next, mix up your fiberglass resin. It usually takes about a minute to get it thoroughly combined. Once mixed, paint a layer of resin onto your foam piece where you want to fiberglass. After you get this base layer of resin in place, start placing fiberglass matting onto your armor part. Don’t worry about fiberglass going off the end of your armor, it’s easy to trim later. The base layer of resin should help hold the matting in place as you get several pieces arranged. Once several pieces of matting are down, plaster them in place with additional resin. The matting will soak in the resin, and should stay mostly in place if you use gentle pressure when applying the resin. Add several layers of fiberglass mat and resin, depending on the strength needed for the armor part. You can add additional layers after the first set have dried, though you may need to sand the part smooth again to get the matting to lay flat. 3 layers of resin/matting usually provides good strength, especially if the layers go in different directions to give a woven approach. Sanding fiberglass is a time consuming process. I use a handheld “mouse” sander, a dremel, and a rotary sander. These aren’t all required – in fact, the dremel is the tool I use the most when smoothing armor, to take care of the drips and ridges that form when the fiberglass resin dries. The mouse sander helps to continue the smoothing process, while the rotary sander is more powerful, but louder and messier. Each has its place in the sanding process. It’s easy to work with fiberglassed objects in multiple layers. For Ryo’s gloves, I created basic hand armor by fiberglassing craft foam shapes wrapped around my latex-gloved hand. Once those were hard, I could then hot glue additional armor details to them, which I later fiberglassed. I was wondering if you had any ideas to do all that detailed carving on there? Would it work to start with a smooth fiberglass base and then glue on foam details and then coat with the resin over that? I’m not sure how to do this– it’s my first attempt with fiberglass, so any tips would be awesome! That’s some pretty detailed armor. I’d definitely go with a smooth base of fiberglass (maybe on top of craft foam), glue the detail layer on that, and use a light coat of just resin on top to seal things and give the details some dent protection. The other option would be to put everything together first, fiberglass the inside of the arm bands, and just use resin on the outside. This would probably be quicker to make, since you wouldn’t have to wait for the fiberglass to set before adding on the detail layer, but it wouldn’t be as strong from the outside. Thanks for the advice! I think I’ll probably go with the first option… also, have you heard of Bondo? Would that work for the detail layer? Bondo will probably work – when you mix it up, it has the consistency of clay, so you can mold it to your needs, if you work quickly. I don’t like it for two reasons: first, because it dries out enough that you can’t work with it anymore fairly quickly, within minutes. And second, the smell. That stuff stinks for up to a week after you work with it. Also, like polyester resin (the stuff you can buy at Lowe’s, Home Depot, etc), it will melt insulation foam. That armor has a lot of details, so you’ll probably end up making a lot of small batches of bondo, doing a few swirls, then mixing more. I know some people use hot glue for detail swirls like that, but I’ve never had much luck with that approach. I tend to just glue down layers of craft foam cut or bent to the shapes I want instead. It takes a little longer, but it gives consistent thickness to the details. Ok– that makes perfect sense. Sounds like foam is the way to go! I definitely would rather have the uniform thickness, and not be rushed while applying the details! Thanks so much for responding– it’s great to get advice from someone who’s done this before! Great website by the way– you’ve done a wonderful job explaining stuff and posting good pictures. Thanks! Glad I could help, or at least provide some tips! Let me know how it goes (or send to email@makotokamui.com), I’d love to see what you do with Mara’s costume. its my first time working with fiber glass aswell, so i was wondering if you could give me some tips on using fiberglass. Use craft foam for the “feathers”, coated with plastic resin (like Smooth-Cast) or fiberglass resin. That should be fairly lightweight, and let you cut the foam into the shape before you apply the resin, so you’re just using the resin to make the feathers strong enough to stand up to a convention. 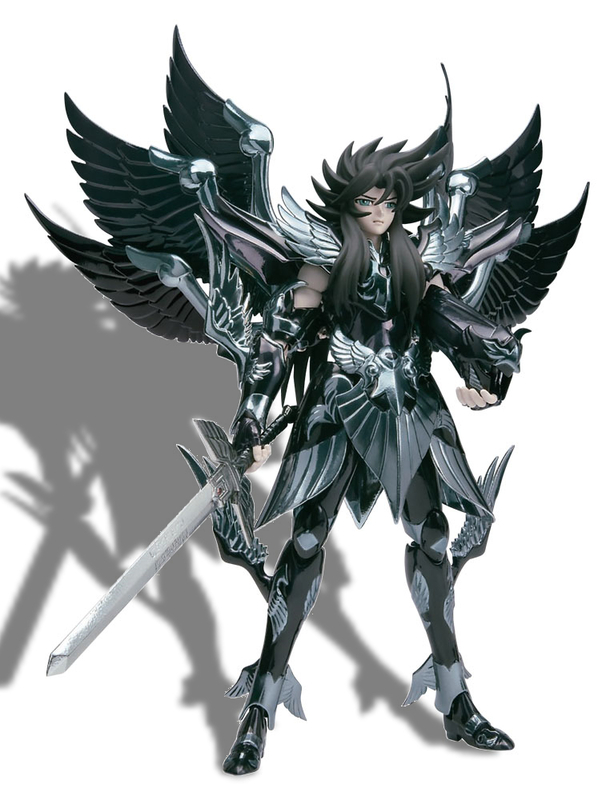 I’ve been thinking about the Silver Seiya armor from The Lost Canvas, which is somewhat similar to the Hades version you linked to. Definitely making a paper pattern for the armor over your body with a friend to assist, then cutting out those patterns in craft foam, gluing them together, and coating some with plastic or fiberglass resin should make the overall armor for you. The ice sacrper The ice sacrper was﻿ used to remove the foam from the inside of the hull. That stuff sticks like glue and when old breaks into tiny bits. Imagine gluing styrofoam peanuts to a surface and later removing them completely. It ended up going through a section which was slightly delaminated (two layers which came loose). Was this answer helpful? If you plan to remove foam from fiberglass, just use some pva glue (alcohol based to ensure quick drying) on the foam part you are fiberglassing. It will come off easily with no mess. If this is a just-for-looks mock-up, you could probably do the blade out of poyelmr clay. You mold or shape it while it’s soft, then when you’ve got what you want, you bake it to harden it.All kinds of info on working with these clays below. Polymer clay also has the advantage that silicone will cure around it for making molds, which it won’t with sulfur clays. It’s great stuff. Super Sculpey is widely available, but if you have a local crafting store or look online, you can buy them in bulk after you’ve tried them out. An easy way to remove Styrofoams from fiberglass is with acetone. Acetone dissolves the foam poor out the goop and wash with soap and water. Hi! I wanted to cosplay a Black Rose from .hack and wanted to ask what would be a good way to create the detail on the edges of her armor? Her costume overall doesnt seem too hard but ive never worked with fiber glass before. Ack! I’m sorry, I didn’t get a notification about your post. For the detail areas, I’d use something like craft foam or, since you’ve never used fiberglass, foamed PVC, like http://www.tapplastics.com/product/plastics/cut_to_size_plastic/foamed_pvc_sheets/342. You can cut either to the shape you need, then paint, and it should work for you. The foamed PVC is much stronger (even at 1/8″), and requires less work than craft foam or fiberglass, so I’d go with that if you can!